The Lancashire Sunday League has launched an initiative to persuade their ex-footballers to take up refereeing and continue their involvement in the game. 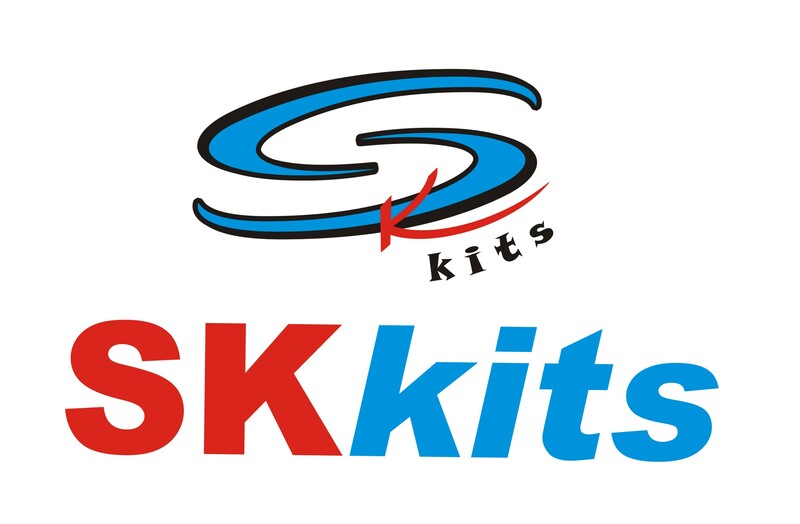 The League intends to supply those ex-players who take up the whistle with a discounted referee kit, whistle & Assistant Referee flags, referees’ notebook and cards. 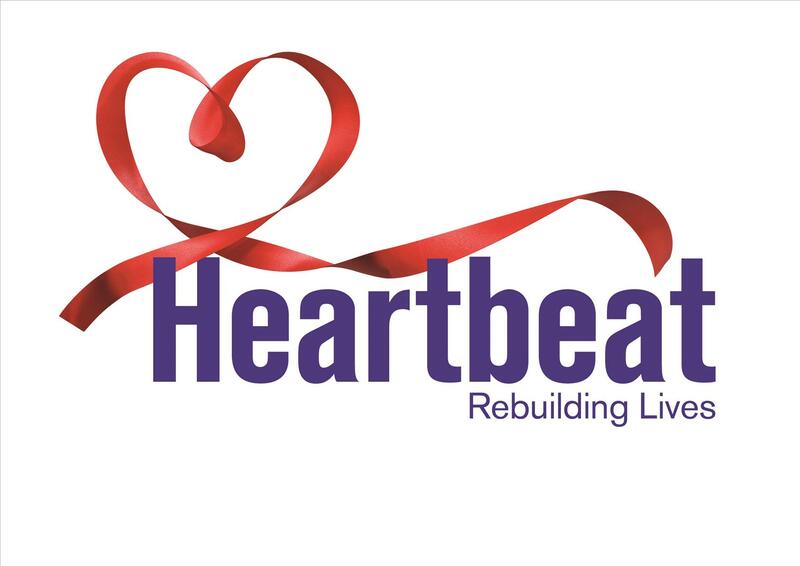 They also offer a reimbursement of 50% of the cost of the referee course on completion of 10 fixtures plus a year’s membership of Preston Referees Society. For decades, ex-players were the main source of referees for local football leagues and countless ex-players turned to refereeing when their playing careers were over and went on to enjoy many years of added involvement in the game. Several of them progressed to higher leagues, most notably Neil Swarbrick who took up refereeing after finishing playing for Bamber Bridge Wanderers in this league and he went on to spend 7 year as a Premier League referee before retiring in 2018. More recently the Football Association and County FAs have embarked on a successful recruitment programme resulting in a significant increase in the number of new referees, albeit only a small number are ex-players. To ensure all new starters are given the best opportunity to enhance their knowledge, experience and skill set the LSFL operates a mentoring and coaching system by aligning newly qualified referees with the more experienced referees within the league so they can learn their trade. 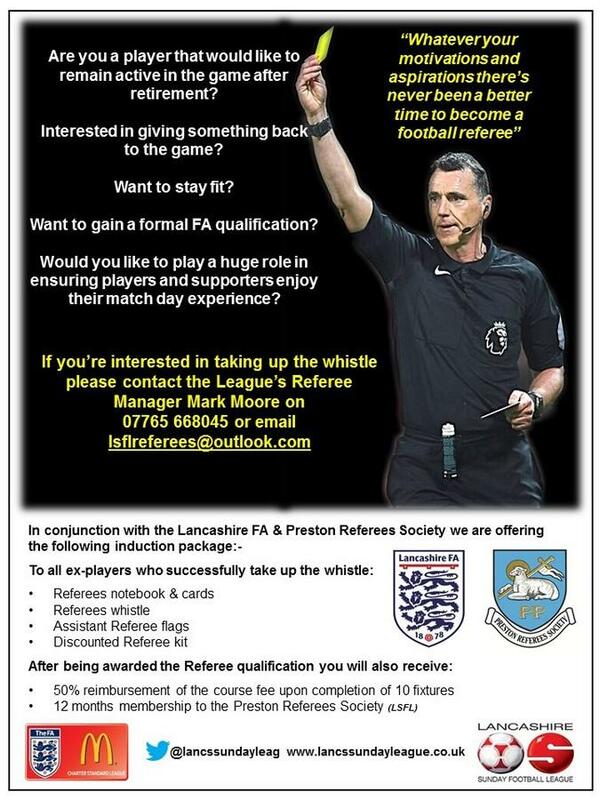 This initiative has the full support of the Lancashire Football Association (LFA) and Preston Referees Society. League Chairman Eamonn McNamara said, “This is a great opportunity for some of our ex-players to keep an active involvement in football and at the same time put something back into the game”. 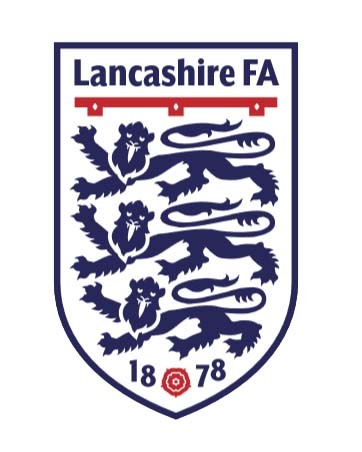 Anyone interested in taking up refereeing is asked to contact the Lancashire Sunday League Referee Manager Mark Moore on 07765 668045 or e-mail Mark here.